Is Google TV Being Blocked by the Networks? Google’s TV project hit the headlines with a splash with big-name launch partners like Sony and Intel. But is the effort to populate the thing with content stuttering? Google’s TV project, Smart TV, hit the headlines with a splash thanks to big-name launch partners like Sony and Intel. But the effort to populate the thing with actual TV content may be stuttering. The networks seem to be worried that Google’s going to steal their business out from under their feet. Never mind that surveys show the TV-watching public is ready for the idea of Web-based on-demand TV programming. It seems that the TV networks are reluctant to hand over the control of their content to Google. Reports say Google met with ABC, NBC, CBS and Fox recently to try to thrash out deals for content, only to find the negotiations faltering because the networks aren’t confident Google’s model won’t eat big chunks out of their existing, profitable, broadcast networks. Google’s model relies on users sharing some data about themselves so the Net-powered TV interface can blend in the right kind of ads and recommend other potentially interesting video content. 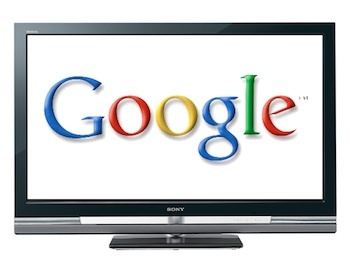 This neatly covers both Google’s Web advertising business and its TV-ad business. But it places a lot of data in Google’s lap, along with a lot of control over what viewers are watching. It’s almost certain that it’s this issue that has given the networks cold feet. They’re used to organizing their viewers’ watching habits, collecting viewer data in the traditional ratings system, and programming ads in a more traditional way. You can imagine execs at the networks looking at how Apple successfully wrested some control of the music industry away from the labels, and then getting worried that by signing away too much power to Google, they’re jeopardizing their options for control of the future of TV. In fact, this tallies with rumors that have popped up over the last several years that relate to Apple’s own efforts to “reinvent” TV through iTunes (and more recently with the iPad–which is a perfect TV consuming device). While we’ve heard frequently that Apple is in “talks” with the TV and movie industry, it never seems to result in a digital TV solution that goes the whole nine yards. Internet TV is definitely the future, for a host of technical and financial reasons. Someone has got to relent. We expect to hear of a breakthrough in these pesky “discussions” sometime soonish.